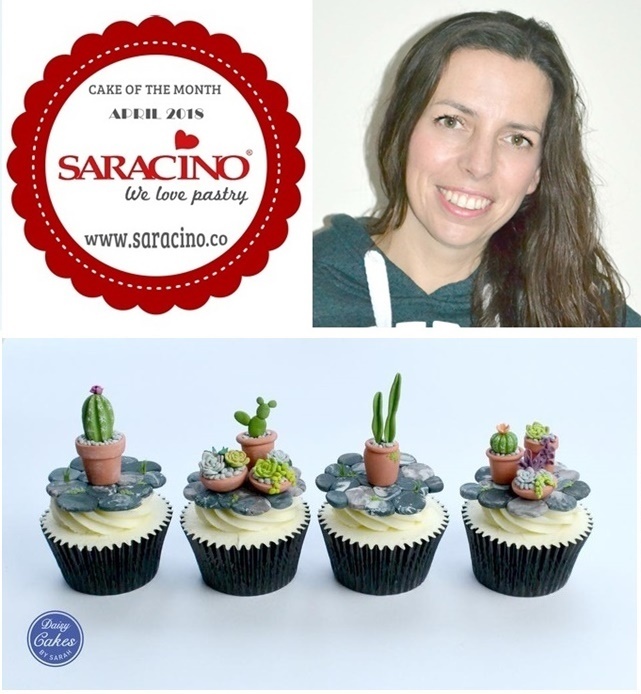 SARACINO CAKE OF THE MONTH – APRIL 2018. Exclusive for Saracino, Sarah answered few questions. Have a look below! A: I definitely couldn’t be without the sets of round and square cutters from Fine Cut Sugarcraft Products I use them in almost every set of cupcakes I make, especially miniature food! A: In the world of cake it would have to be your very own Vicky Turner! Blushing now as she is a friend of mine but she is stupidly talented! 1. Flavour – Chocolate or vanilla? – CHOCOLATE ALL THE WAY! 7. Do you prefer – Baking the cake or decorating the cake? – ABSOLUTELY DECORATING! 10. Apron or chef whites? – eeek APRON? ?